One of the common human activities that we all like indulging in is ‘eating’. Be it healthy or junk, we just love munching on food. But what if you are not home, are hungry and are not a billionaire and you are incapable of sitting in those dim lights and soft music, air-conditioned cushion restaurants. You need to know of all the good places to fill your tummy with some tasty goodies. 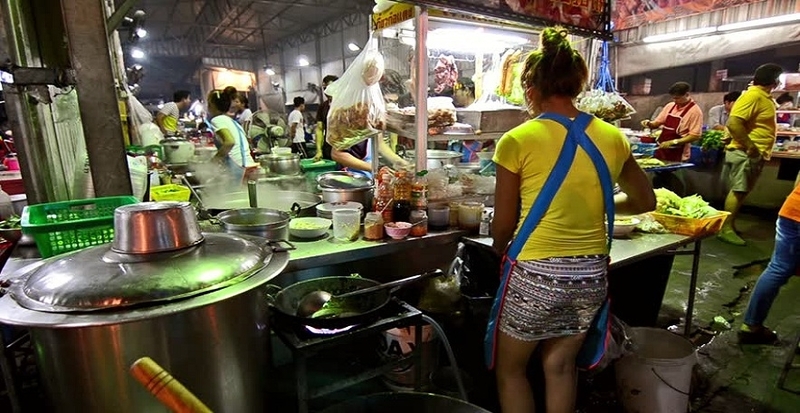 Over the years, street food has become a huge trend. Not only is it cheap, but it is also delicious. Sometimes it’s just not about the hunger! It’s about the taste and appetite. The staple food of Goa is fish curry and rice, but there are many more mouth-watering delicacies beyond that. Let’s have a look at all the different varieties of street food beautiful Goa has to offer. 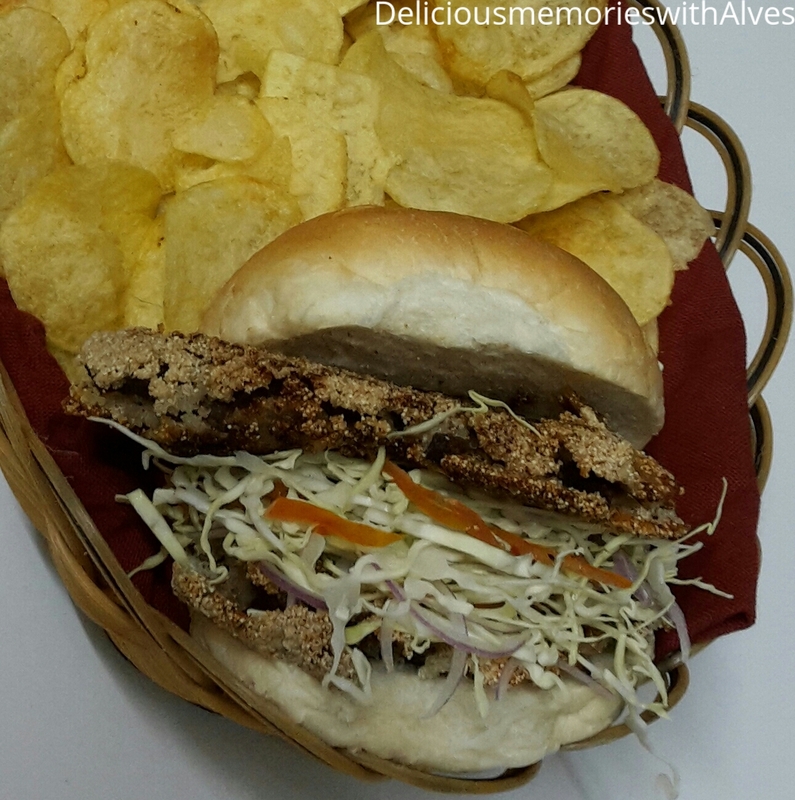 One of the most famous delights is the beef cutlet pav. It is known for its crispy skin and tangy flavour with warm Goan polis. Apart from being a street food at truck stalls, this yummy meat and bread are sold at many mini stalls during food festivals and other Goan celebrations. It can be eaten any time of the day due to its fresh preparation. The place that is famous for this dish is Fontanias. The second on the list we have the juicy Ros-Omelette. 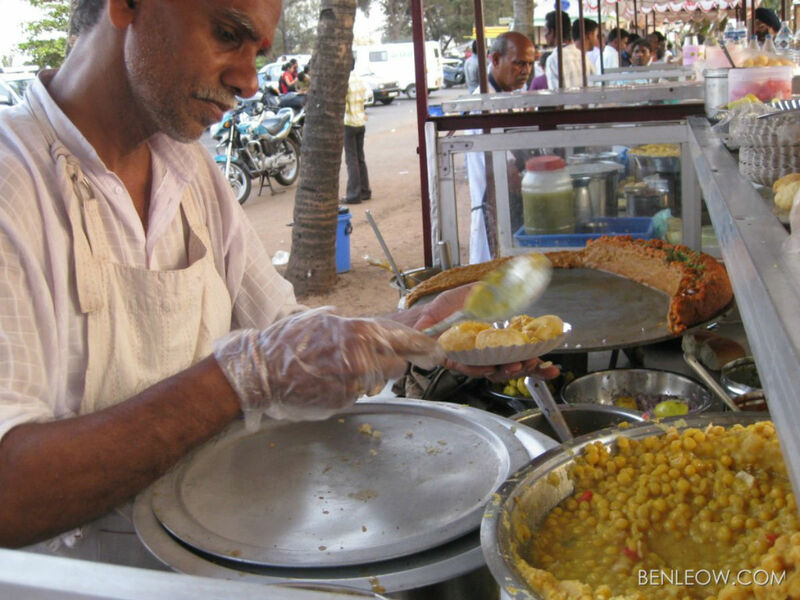 The Immaculate church square at Panjim is very famous for the ‘ras omelette’ stalls that are put up every evening. Tourists discover the new authentic taste of this dish, while locals never seize to stop by and have some juicy Ras-Omelette. The dish is very simple yet unequivocal; the egg is fried into a normal omelette and is topped by Goa’s favourite chicken Xacuti gravy. It is usually eaten with bread or Goan pav poli. The next great street food that is mostly eaten in Goa is the Gaon Samosa. 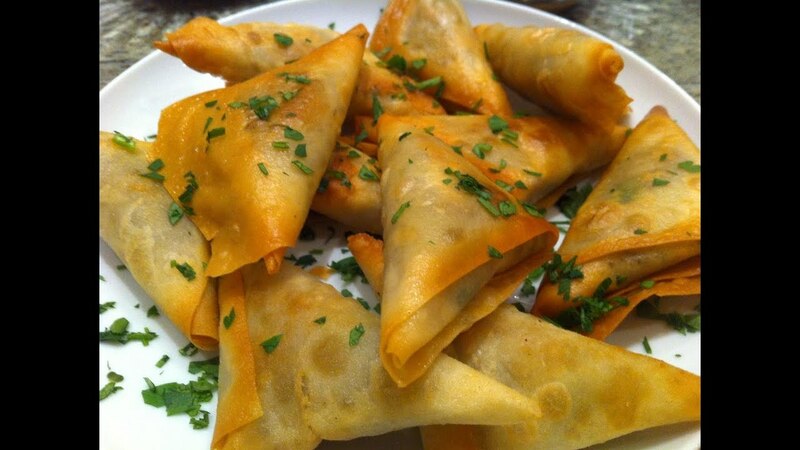 Yes, the samosa may have its roots in Punjab, but Goa has its own style and secret recipe to prepare samosas. Potato is not the key ingredient here, but other vegetables like beetroot, green peas and cabbage too are used. 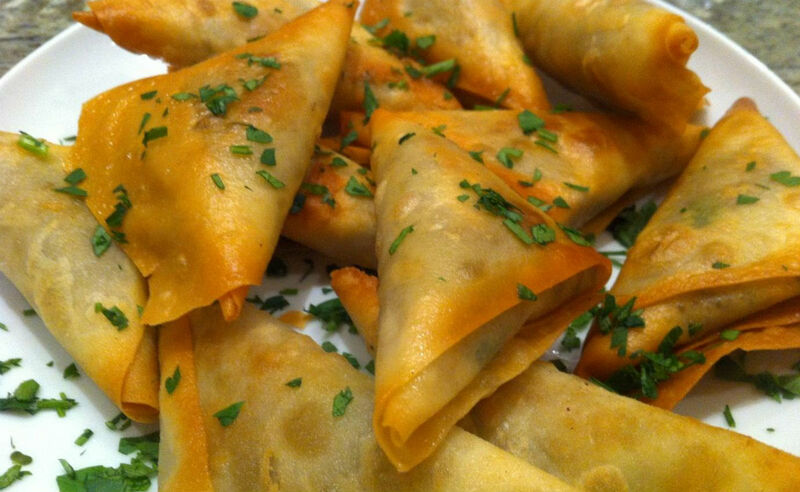 This makes the Samosa less potato filled and healthier with vegetables. Miramar is known for its variety of food stalls and street food. It serves people’s favourite chaats. It is a good place to hang out with friends and family in the evening while you dig in the special chaats prepared, from shev-puri to pani-puri and even pav-bhaji. This area is the most visited street food place since it is also on the shore of the beach. A cool breeze and sweet & spicy delights make for a good combination. 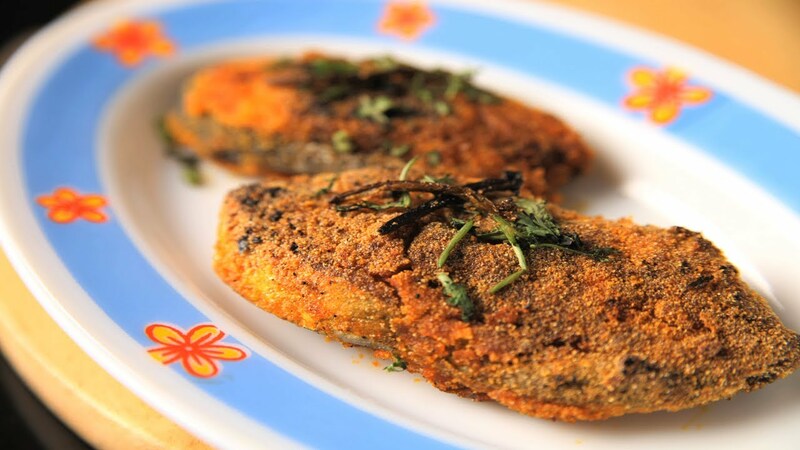 The fifth food on the list is Goa’s favourite crispy rava fried fish. 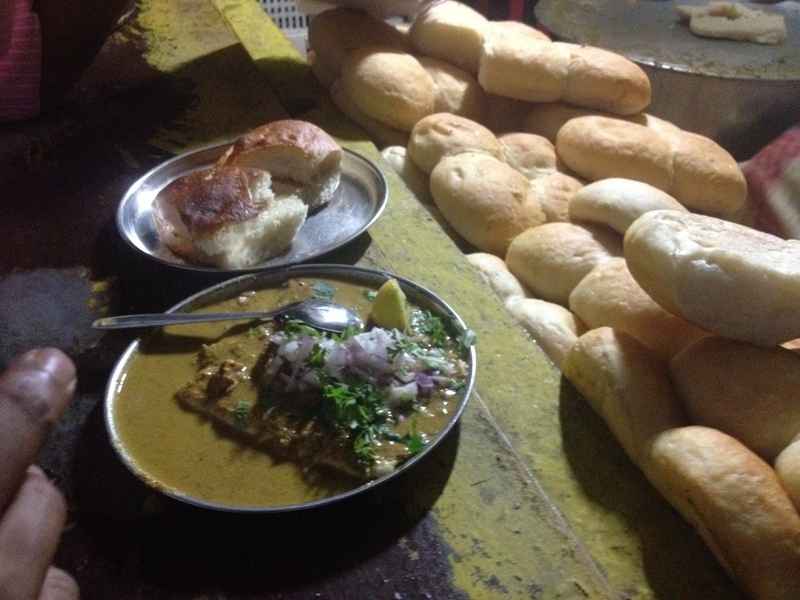 Although it is a daily food item on lunch and dinner tables, Goans never get tired of eating this. It is more like a snack than a meal to the young and the old alike. 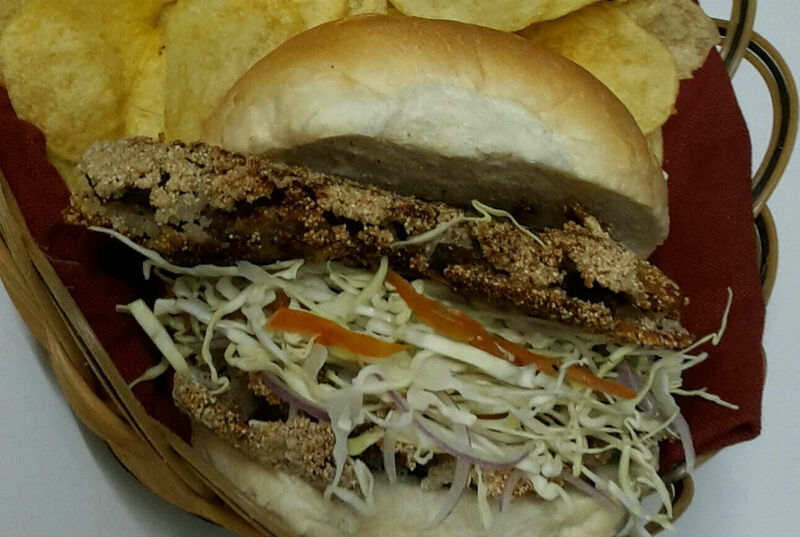 The fish is either fried with salt or with the famous rashiad masala. Children enjoy smacking their tongues and licking their fingers even on the all through the last bite, while adults enjoy it has an accompaniment with Fenny. The Goan sausages or Choris-Pav as we most commonly call it is popular worldwide. Usually, the Catholic community in Goa loves preparing their own Choris at home. Great care is taken in choosing the ingredients with the right texture of meat, fresh chillies and homemade vinegar. This tasty sausage pav is the heart of Goa and is sold as a street food in many other places outside Goa as well. Making these Choris is a tough call and time consuming, but always worth it. 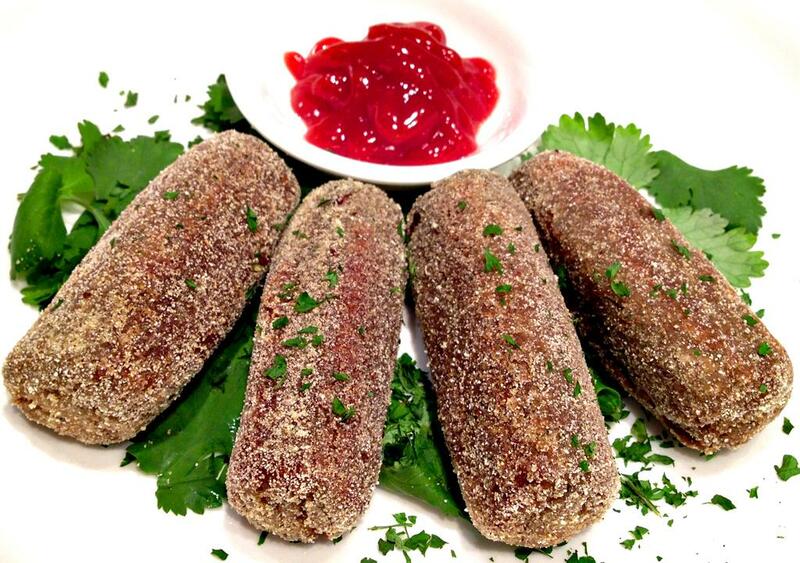 Croquettes are the cutest and tastiest snack to eat while you stop on road for a stroll. They are light, tiny, juicy and crispy. They’re famous among children because of their small size and easy to hold bodies. 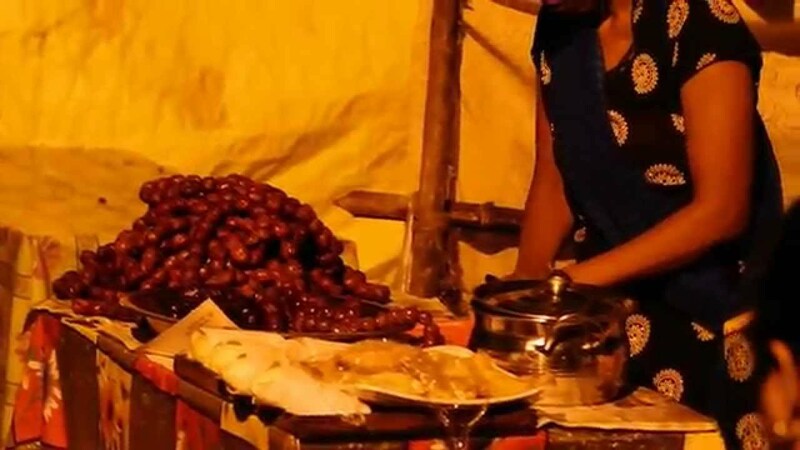 These small delights are sold at many street stalls. There is never a time that you can ignore the taste of a croquette on your tongue. Because of its tiny form, there is a punch of flavours that rush in your mouth. Following the tiny food items is the Prawn Rissois, a delicious appetizer that is well appreciated and eaten just like the croquette. 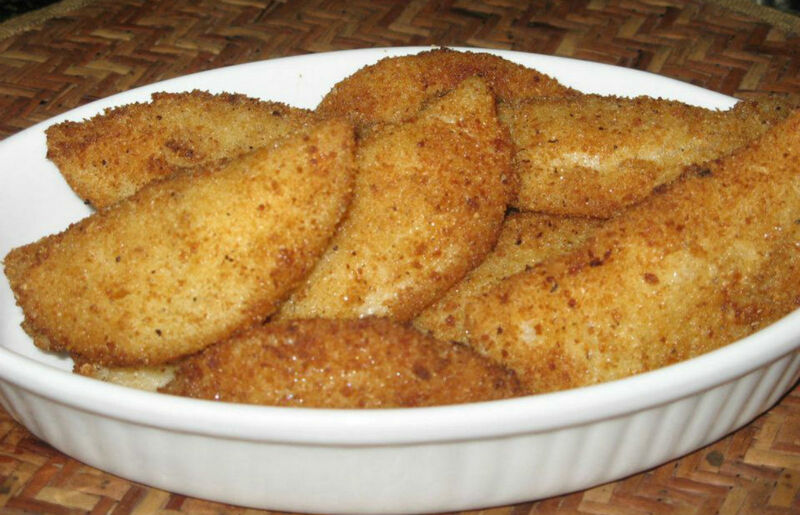 The recipe of the snack Rissois is handed down straight from the Portuguese. They are crescent moonlike shaped, with prawns stuffed inside. People usually try different stuffing inside the Rissois but the best is prawns. The ninth food item in the list is Shawarma. 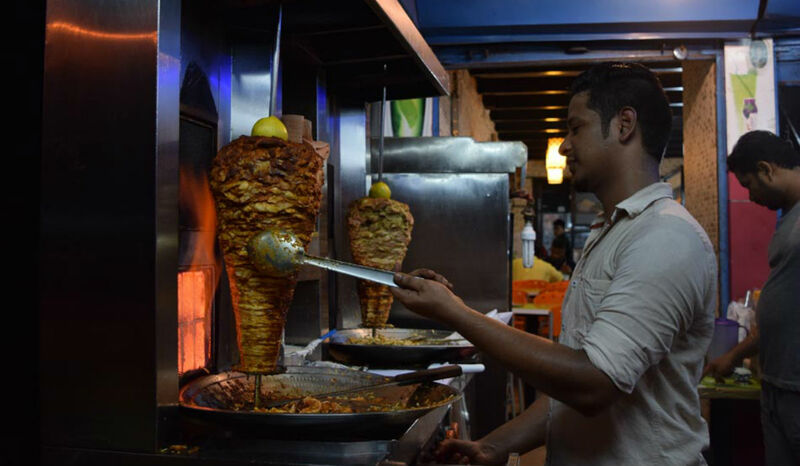 Eating shawarma has become a classy trend among Goans because of ease and exotic flavours of chicken that is roasted right before our eyes against a blazing flame. The shawarma roll is then stuffed with the roasted cooked chicken, salad, potato and mayonnaise. You can find shawarma stalls and stops after every other road in Goa. It is a good take away delicacy. The last item on the list is something that we all desire drinking especially in this hot weather. 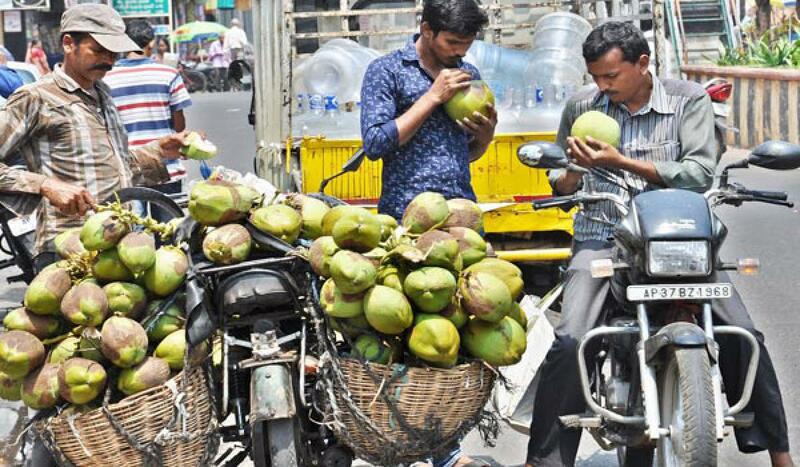 The cooling tender coconut water – it is known for its soothing and healing properties from the blazing heat and sunstrokes. Since Goa is very famous for its coconut trees, oil and coconut used in every part of cooking, they have extended an arm by having stalls at different places. People are relieved drinking this water on the go. Now that we know all the great street food available in Goa, don’t hesitate to stop by and have a bite or two. Previous articleWhat Goa Tourism Is Doing to Save the Turtle Nesting and How it is working in reality? Next article5 Things Goans Hate about ‘The Tourists’ in their Land!! !